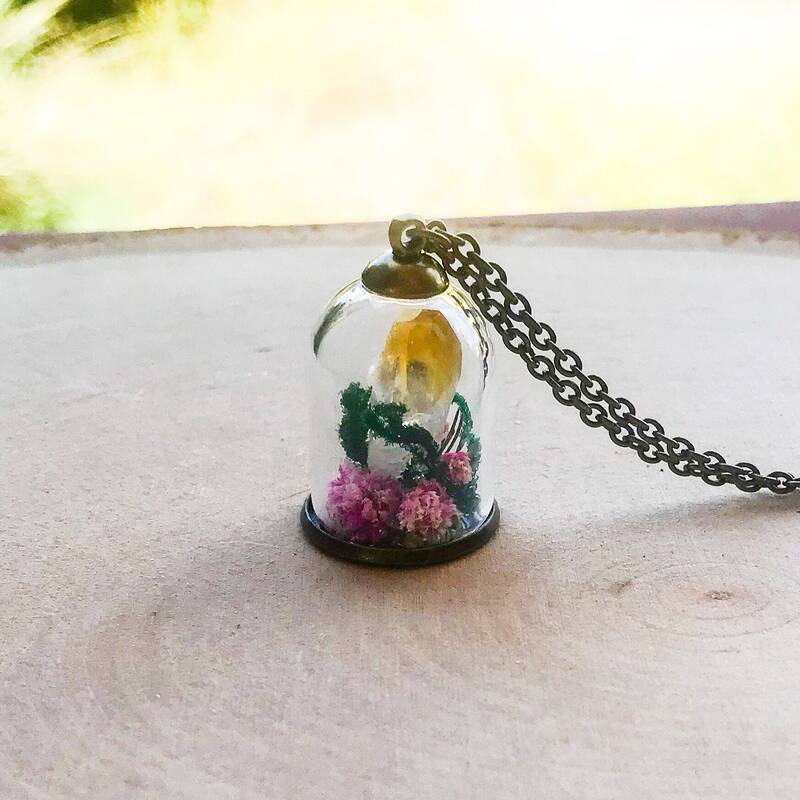 This necklace features a Citrine crystal point infused with Reiki healing inside of a glass bell jar with a brass base and top. 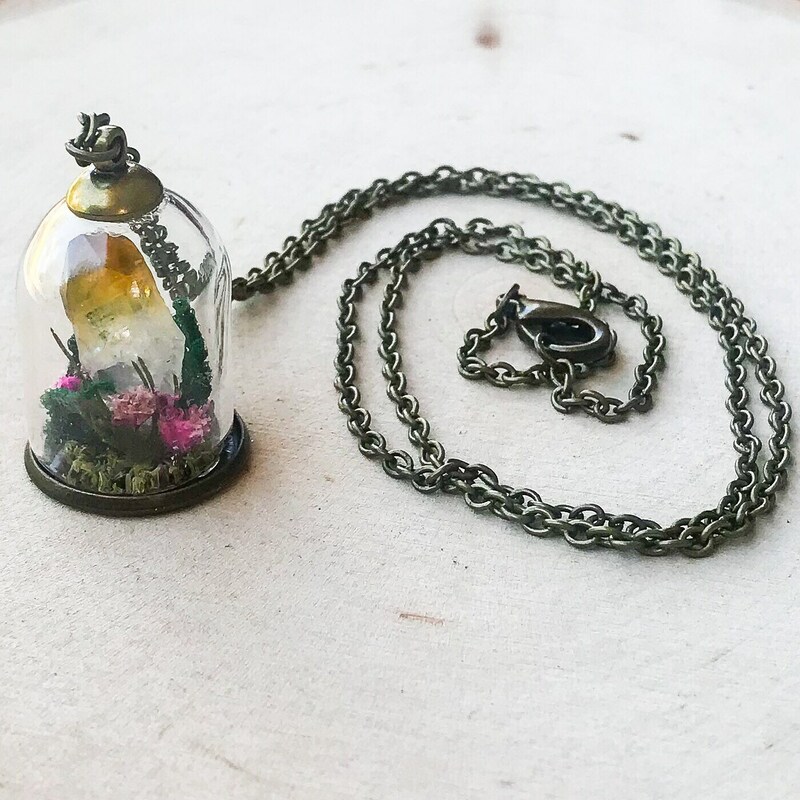 Along with the stone this terrarium necklace features real pink dried flowers and moss, and hangs on a brass cable chain. 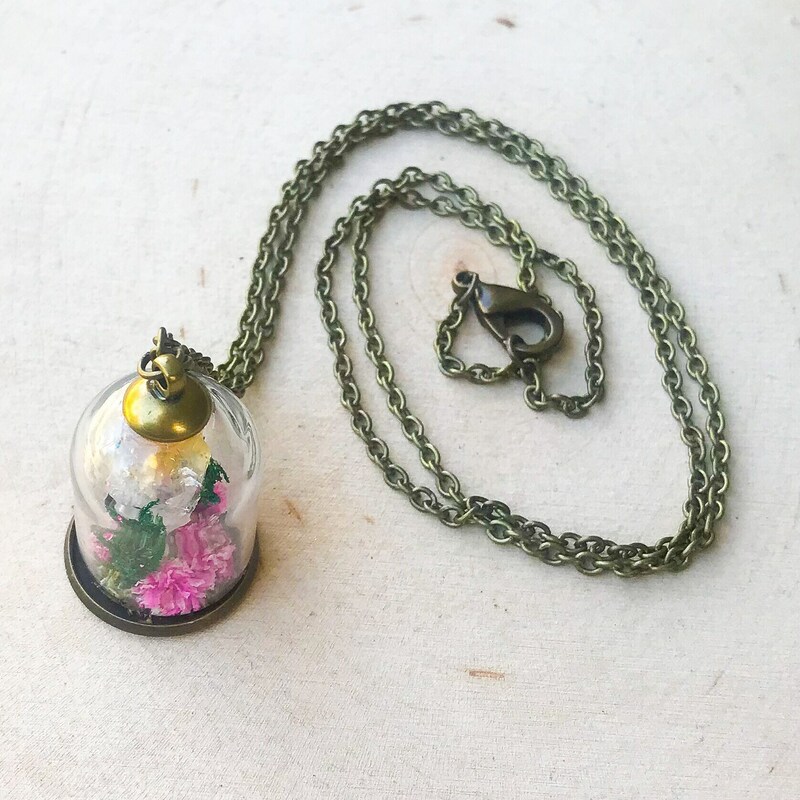 The bell jar measures about .75" across by about 1.25" tall, and the chain is 22" inches long, with a brass lobster clasp. 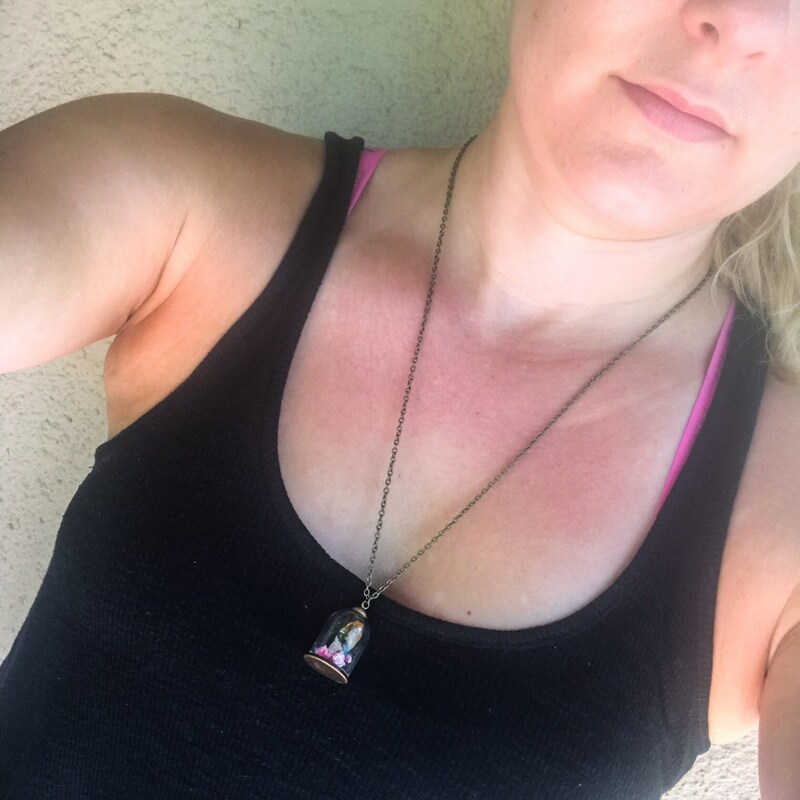 Please note that these crystals are natural and have inclusions. They are not uniform in size, shape, or color. 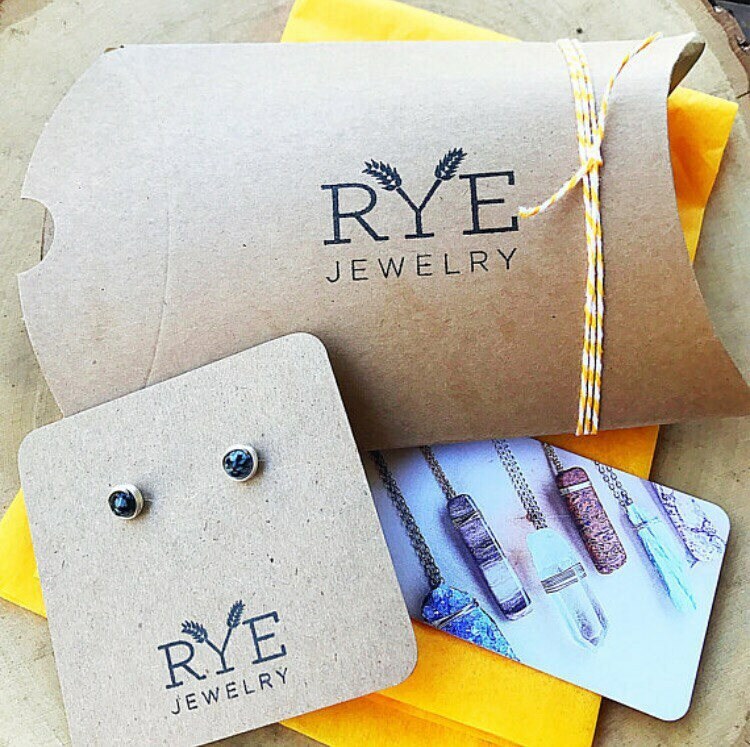 Citrine does not accumulate or retain negative energy.